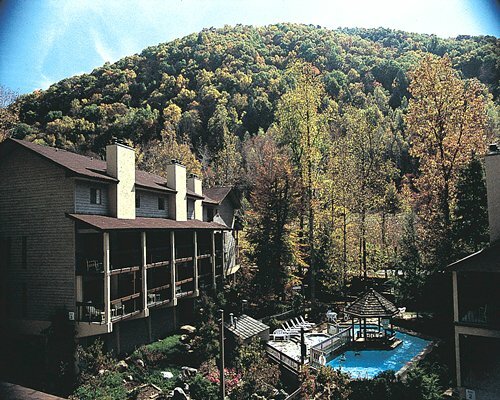 Mountain Meadows by Exploria Resorts is best described as a retreat that is located in the Historic Smoky Mountains. 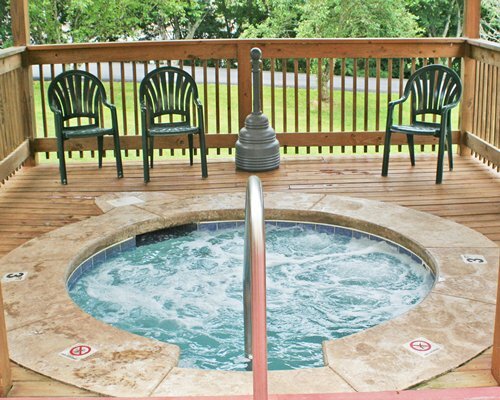 The resort's goal is to make your stay relaxing, entertaining, and memorable. 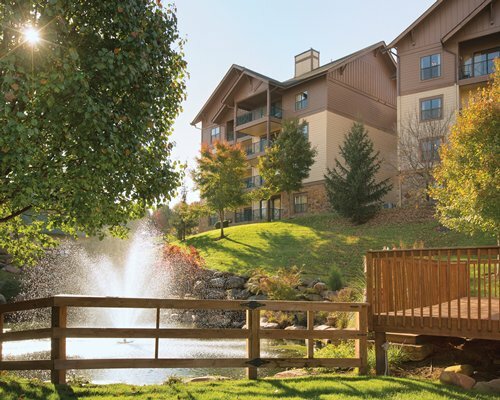 If you choose to stay in at Mountain Meadows, there are many things for you to do right here at Mountain Meadows. 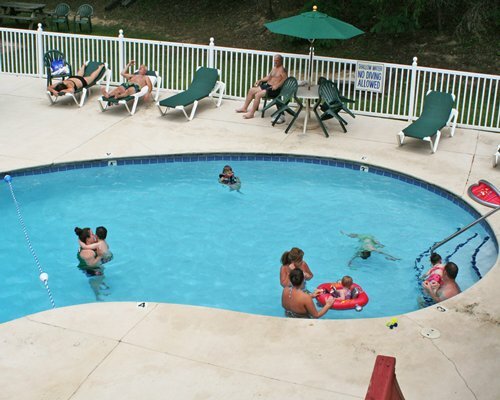 You can take a refreshing dip in the swimming pool. There is also a game room and playground for the kids. Each unit is designed with your needs in mind. 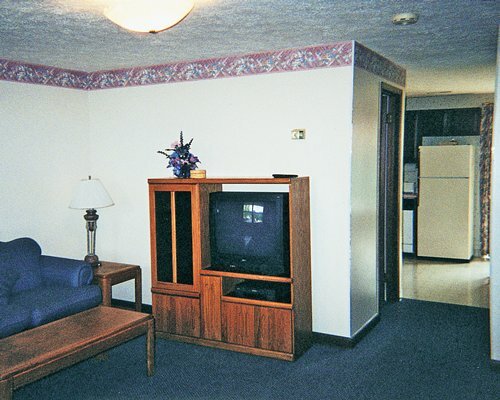 Whether you have six guests or it's just the two of you for some alone time, you have all of conveniences and comforts of home.Each unit has two bedrooms and sleeps six guests. 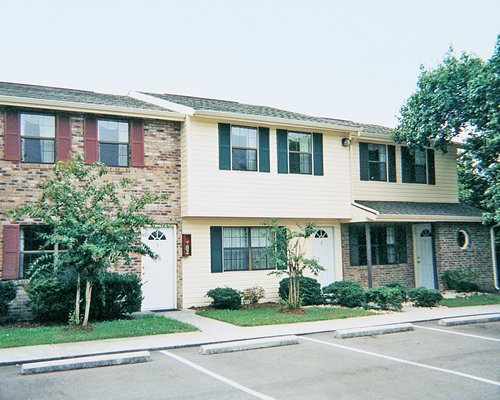 Spacious and functional, each unit offers privacy or a quick family get together. Bedrooms are upstairs. Daily housekeeping is not available at this time. The closest commercial airport is in Knoxville, about 45 miles away. From the airport, take Hwy 129 north 10 miles to Knoxville, then I-40 East to Hwy 66 (exit 407). 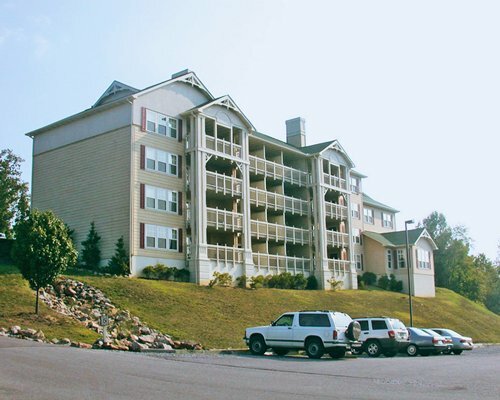 Follow Hwy 66 south to Sevierville, about 10 miles, and follow Hwy 441 to Pigeon Forge. Turn right (south) at traffic light #3 on Wears Valley Road. Go about 1/2 block &amp; turn left on Florence. Go to stop sign and turn right on Sharon. Go to top of hill &amp; turn left on Suncrest, make an immediate right on Loraine. Go to stop sign &amp; turn left on Rolling Hills Dr. into the resort. If you are traveling from the south: take I-75 north to I-40 to exit 407 (Hwy 66). Follow instructions above. Mandatory Security deposit is 100.00 U.S. dollars. Cash only is accepted. Due at check-in. 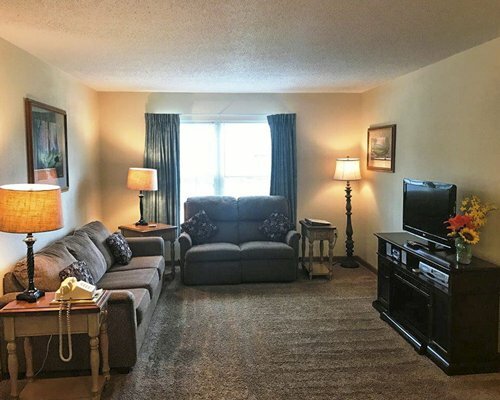 Fee for 2 Bedroom units (per stay): Housekeeping fee for all RCI points reservations: There may be a fee of 60.00 U.S. dollars for 2 Bedroom units, per stay. Cash or Credit is accepted. For reservations less than 7 nights. Daily housekeeping is not available. Exploria Resort locations do not accept AMEX as a form of payment.